Annual report. 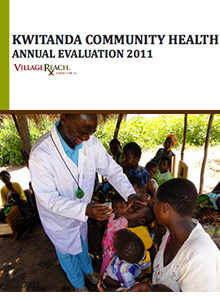 Our comprehensive reports detailing the results of annual evaluations of the VillageReach community-based health program in Kwitanda, Malawi. 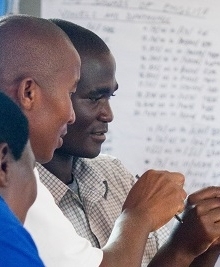 A profile of Anstey, a community health worker in Kwitanda, Malawi. VillageReach and MaiKhanda Trust today announced that MaiKhanda will assume responsibility for the Kwitanda Community Health Project (KCHP) in the Balaka district of Malawi. 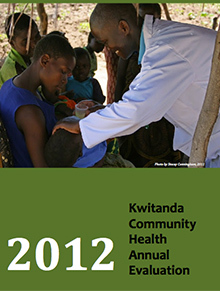 MaiKhanda’s community-based approach to health care will sustain and build on the progress achieved in maternal and child health begun by VillageReach, the Ministry of Health (MoH), the Kwitanda community, and JBJ Foundation in 2008. 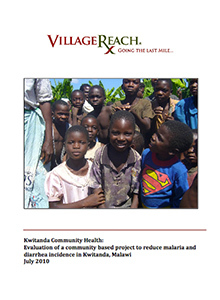 VillageReach operates several programs in the areas affected by the recent flooding in Malawi including the Kwitanda Community Health Project, located in Balaka District. 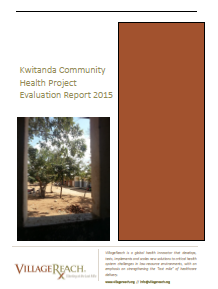 VillageReach’s ongoing work in Kwitanda highlights the critical role of infrastructure and how systemic improvements are critical to community health outcomes, especially when disaster hits. VillageReach has distributed bicycles to the Health Surveillance Assistants (HSAs) so that they may continue their under-five clinics providing immunizations and growth monitoring. VillageReach has played a key role in helping with logistics, distributing supplies to the Kwitanda Health Centre, helping to manage the growing number of diarrhea cases. The boreholes VillageReach built and repaired in the last year are mitigating the spread of water-borne diseases. VillageReach initiated a Community-Led Total Sanitation initiative last year, including building new latrines. While some of these structures have been damaged or destroyed, the surviving latrines, combined with chlorine, also supplied by VillageReach, is a tremendous help in alleviating the spread of water-borne diseases during the flooding. 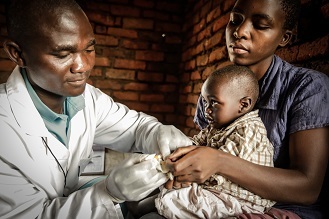 VillageReach-supported clinics have proved key in mitigating the impact of unskilled deliveries and offering care for sick children.